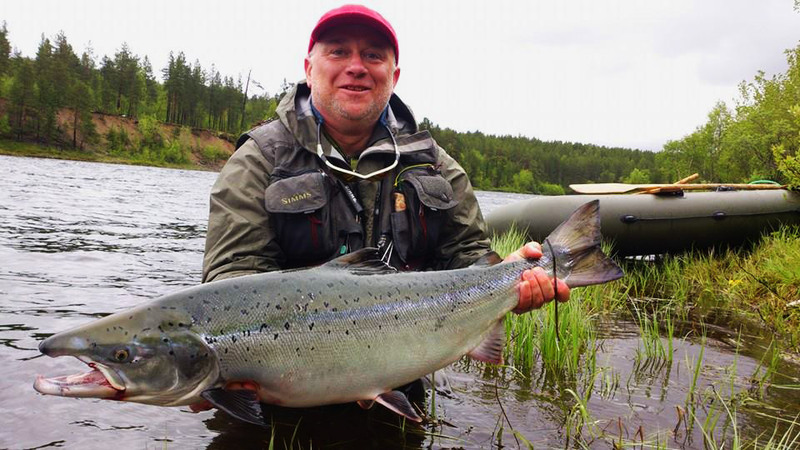 Salmon fishing at the Kola river is interesting for anglers who want to catch a big salmon. Kola got its reputation for a big fish, which comes into the river. There are benefits to be found in a relatively convenient location of the river, near the airport. This greatly simplifies the way to the river. There are also disadvantages. These include extremely high fishing pressure, which is associated with closely located big city. 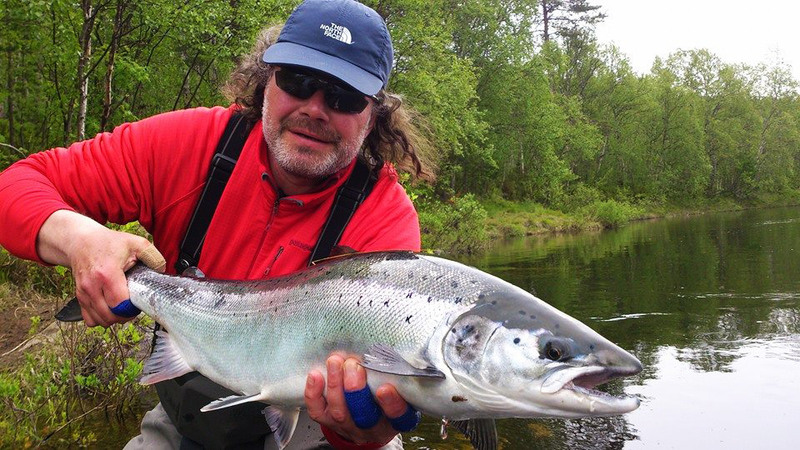 You can also note the extremely irregular running salmon and unpredictable fishing results. 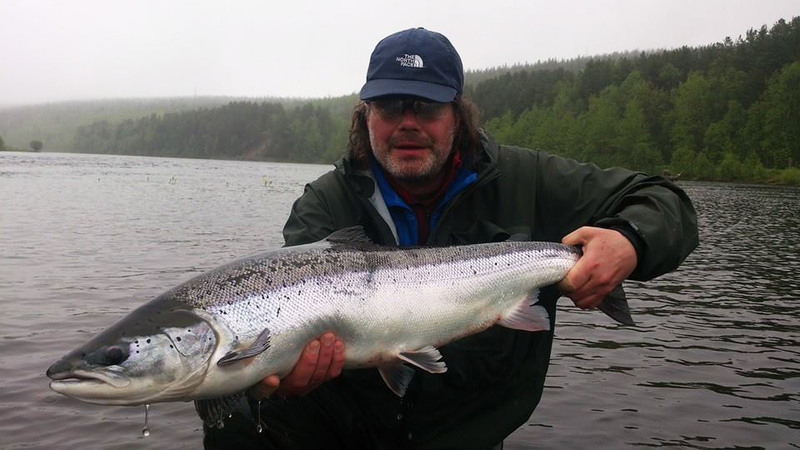 But the chance to catch a very large salmon is worth to try. Indeed, for many years the river gives us that opportunity. 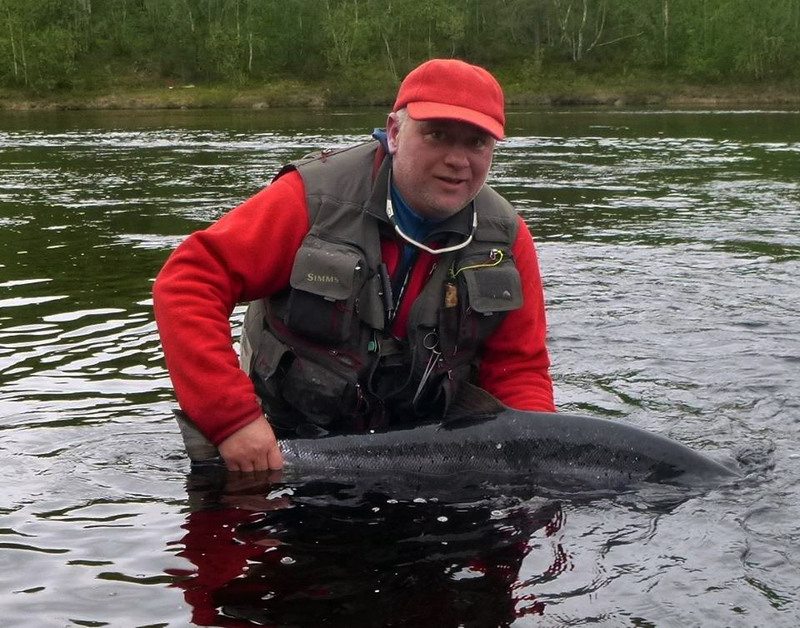 Despite the proximity of Murmansk and other settlements in the Kola River there are enough big fish. We must realize that, contrary to naive advertising is not easy to catch a really big fish. You'll need all your skill and the help of our guides. 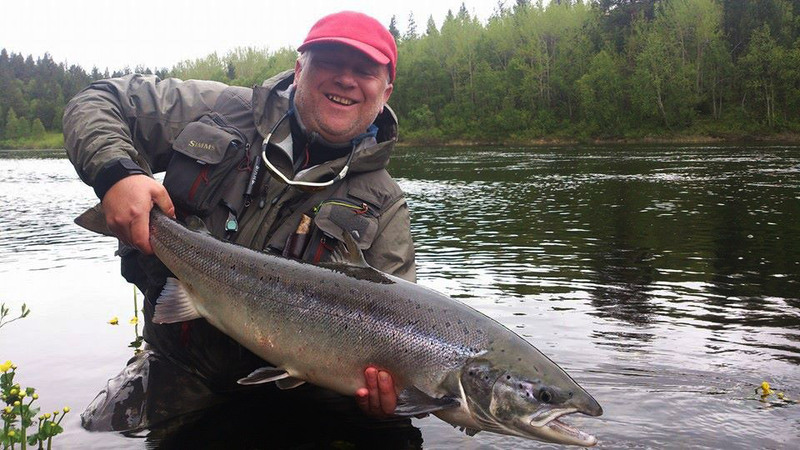 We are pleased to inform you that in addition to the possibility of catching a large salmon, we can offer you accommodation in a really comfortable environment for a resonable price. 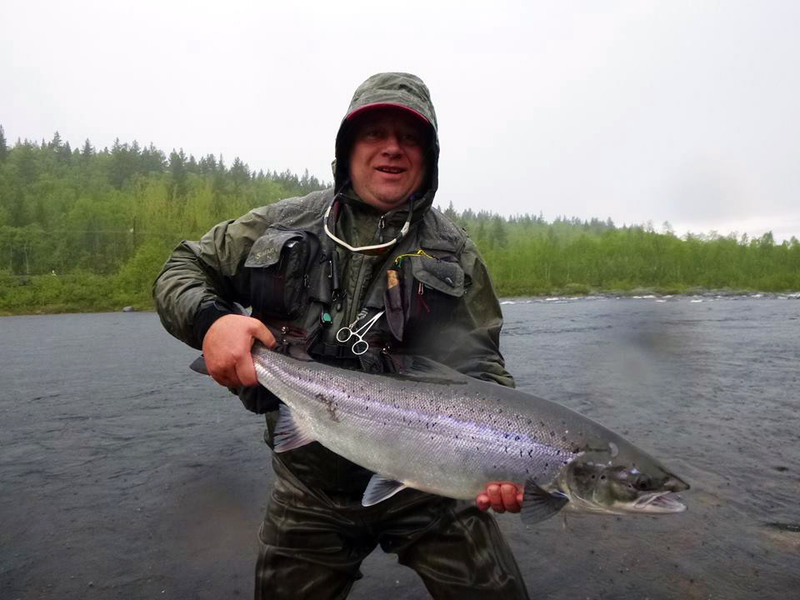 The owner of the Kola rive is the goverment organization - Murmansk Ryb Vod. There is a verbal agreement between the parties, who are engaged in the fishing business organization, whether to use different parts of the river, not to create large clusters of fishermen. 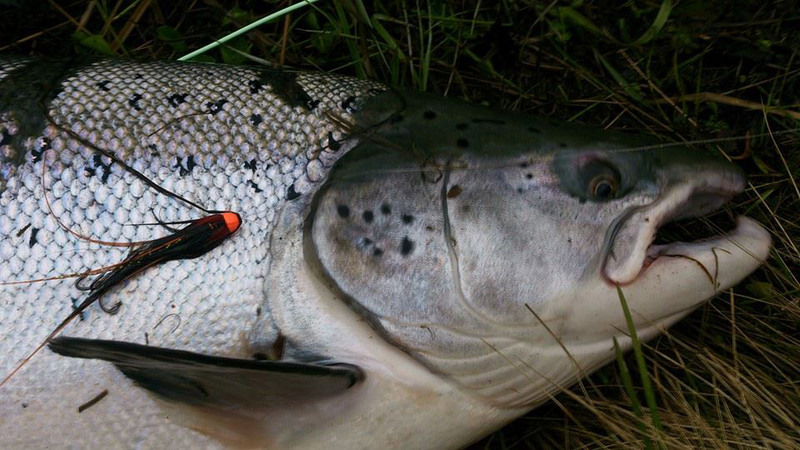 Valid license KOLA - 3 gives you the right to catch salmon in any part of the river, including all pools near Deer Camp. Kola part 3 has near 40 km in length. 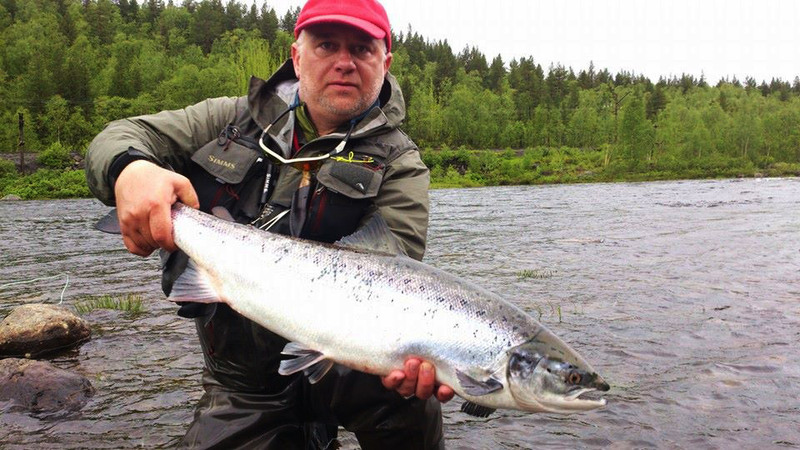 One of the advantages of the site Kola - 3 is that you are invited to fish the lower part of the site. Its length is 17 kilometers. 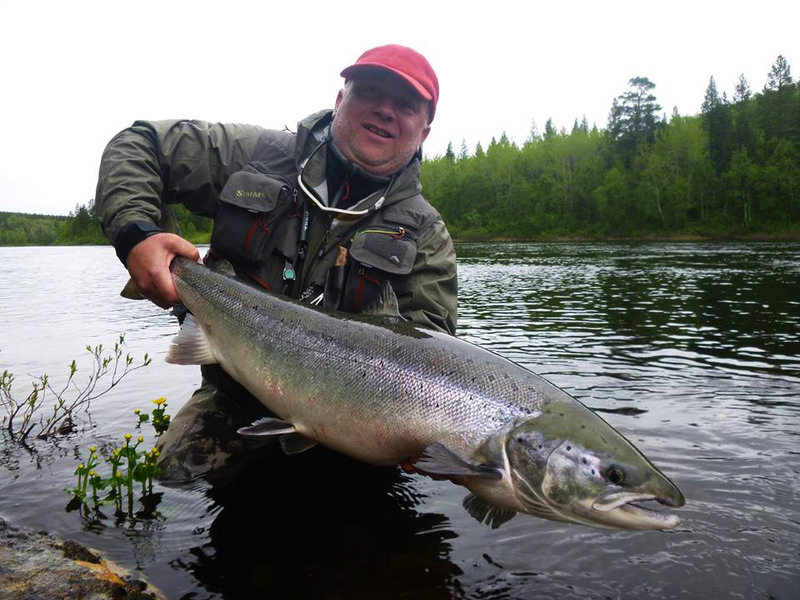 The fishing site begins from the Joint Pool at the confluence of the Kola and Kitsa river. 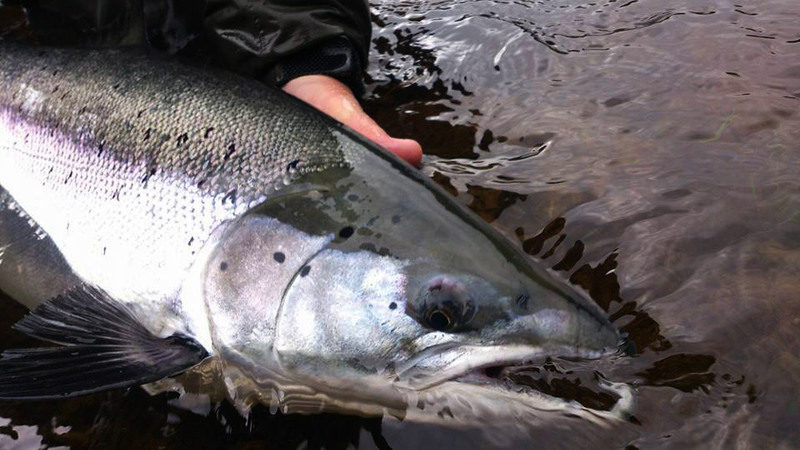 Salmons from both rivers run and stop to stay in this part of the river. Therefore, it is much more susceptible to the adverse effects of the weather or the state of the river. 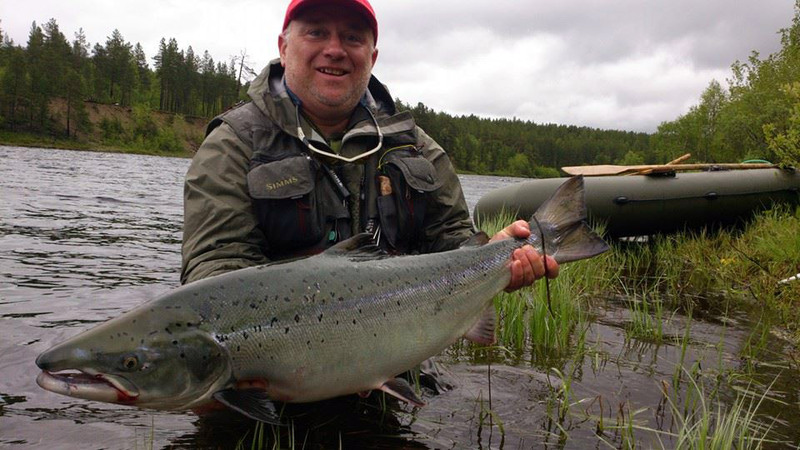 Here is another interesting option for fishing on the Kola Peninsula in Russia. The only airport here - is the airport of Murmansk . Almost every angler who comes here from Europe or America is forced to spend a day or two or even three days to wait for helicopter or other transport to get to the river. 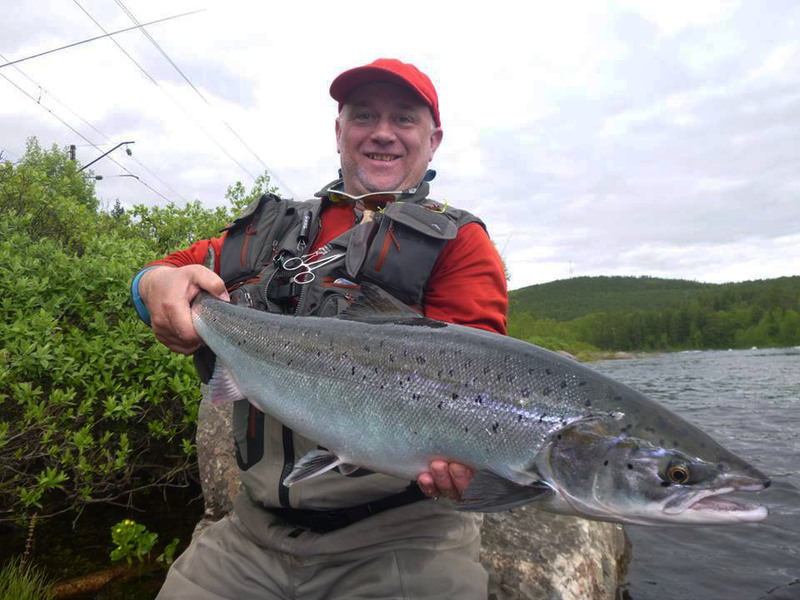 Many anglers believe that it makes no sense to spend these days in the hotel, if you can spend that time fishing. 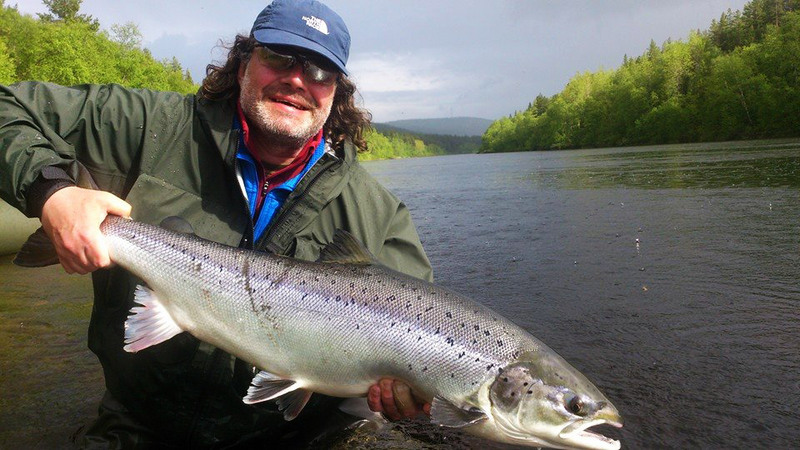 So we want to offer you the option , which includes one, two or three full fishing days . The organization of this option does not differ from the standard version . You will be met at the airport, taken to the hotel , settled . Will be taken in the morning on the river. Guide will work with you , at your disposal - car and boat . You will be provided with food and other services , which are inherent in the standard program of 7 \ 6 days. Price is determined by the number of fishing days and the number of nights at the hotel. I hope for many anglers this option looks interesting. 1- day. Meeting at the airport, hotel or fishing base accommodation, fishing on a home pool. 2- day. 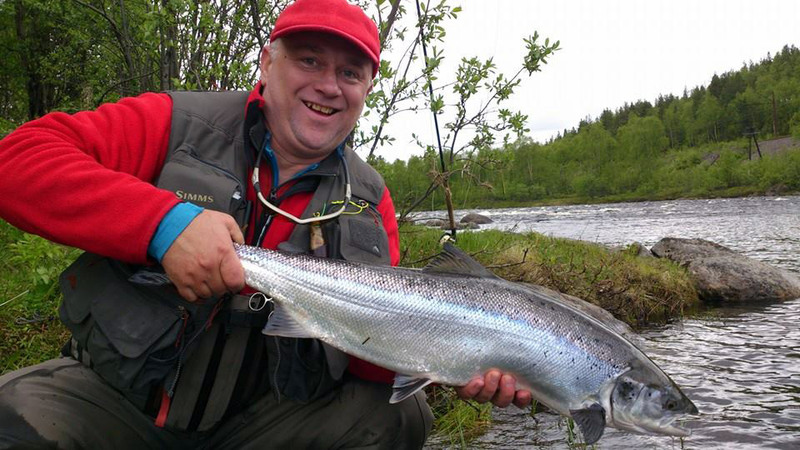 Fishing on the Kola-3. 4- day. Fishing on Kitsa, Bridge pool and fishing down stream pools (3 km). 6- day. 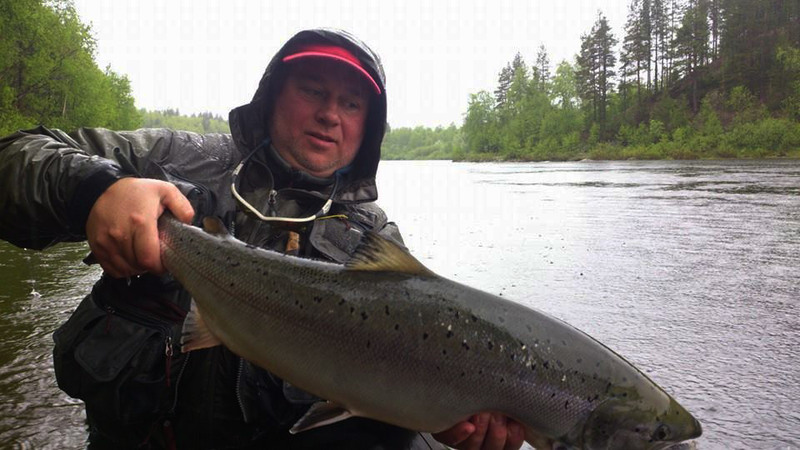 Fishing on the Kola-3. 7- day. 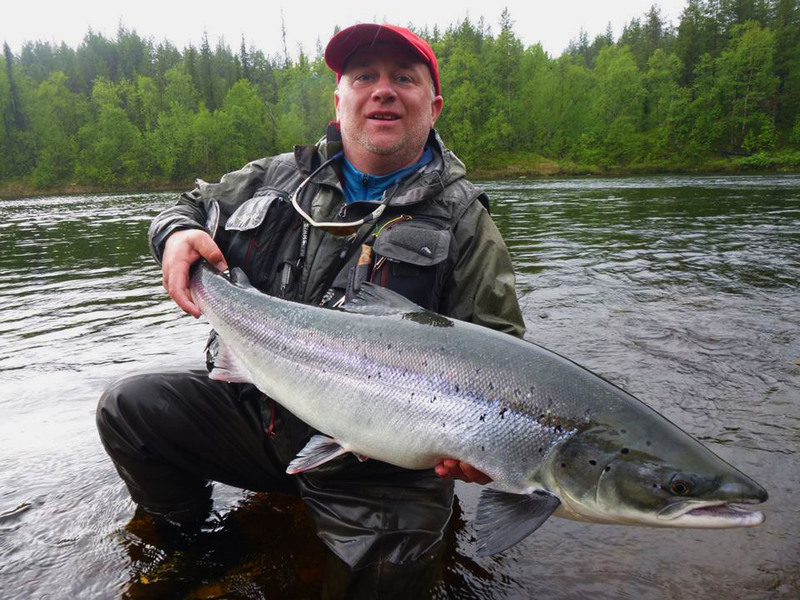 Fishing on the Kola-3. 8- day. Trasnfer back to the airport. 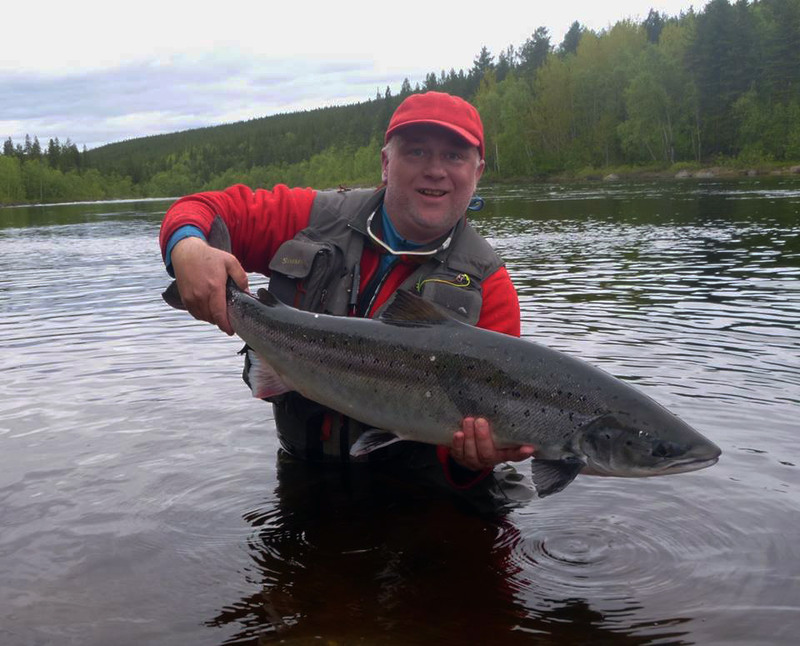 These is just an example of fishing tour, changes can be made to the clients wishes and ideas. 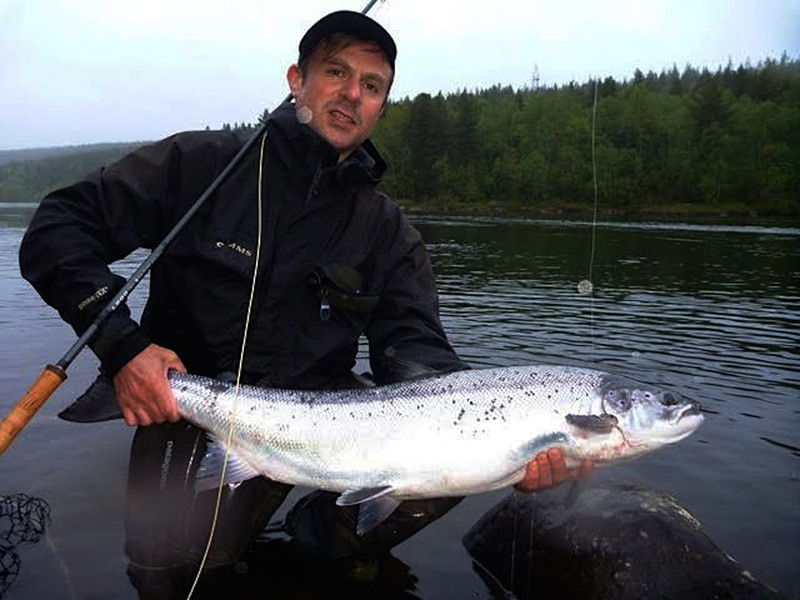 Our experienced giudes would be glad to help you with every aspects of dayily fishing. Comfortable cars and boats are used to maximise the comfort of your transportation and fishing. Transport to the river and on the river all the time. (off-road cars, the cross-country vehicle, boats, minivan). The invitation and the voucher for visa reception. Great! I have just read the pike article and I am realy impressed. THANK YOU. I would like to share it with my fishing friends in one bulgarian amateur fishing forum. Unfortunately only a few colleagues there understand english. May i ahve your permision to translate the article and publish ! Yes, of course you can use these materials. Good luck! 5- day. 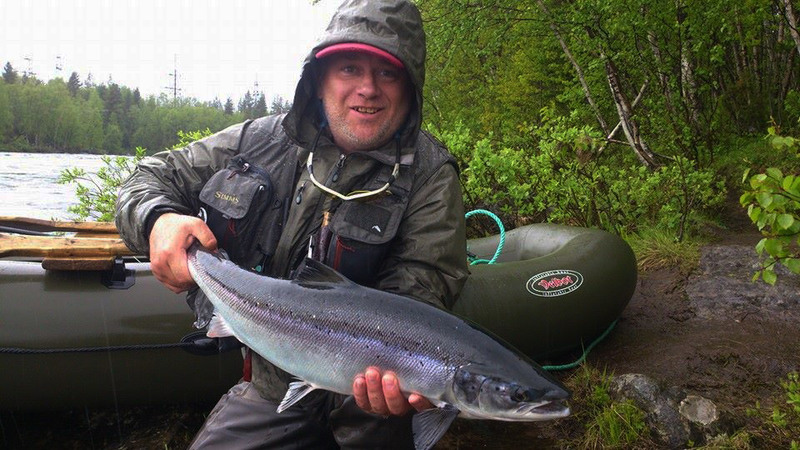 Fishing on the Kola-3 or Kitsa . Thanks For Sharing this useful Post! Thank you! I'm always happy to write something elegant and poetic! 1. how to choosing a good fishing kayak. 2. How many $$ may be need budget for a good fishing khayak. 3. By providing some fishing tools experience. Beginning of a season. 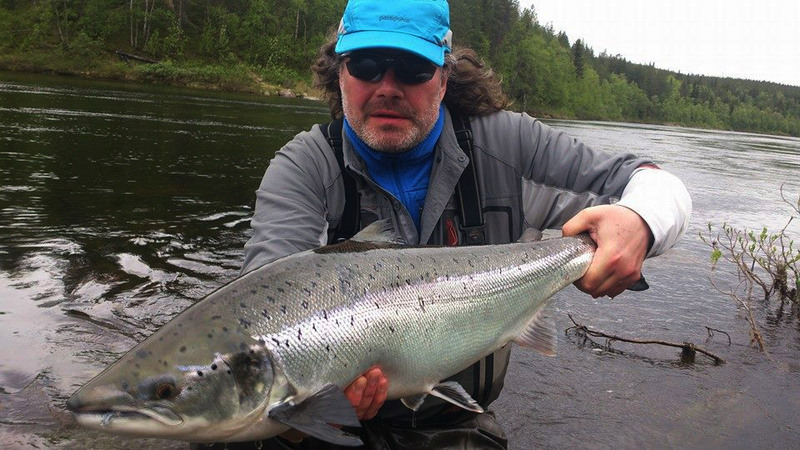 May-June salmon fishing.